If you are a blogger, you probably already heard about tailwind tribes. Are you using them? Or are you one of those wondering if it’s worth paying for it? I’ve been using tribes since they were in beta (I don’t even remember how long ago that was), and when the time came to pay for a power up, I didn’t even blink. I didn’t need to read the sales page, because I already knew I wanted access to this tool. Are Tailwind Tribes Worth Paying For? About a month ago, I was looking through my FB feed and noticed a heated conversation in one of the groups I belong to about the Tailwind tribes and looping features. Many of the participants were vowing they’ll never pay another penny to Tailwind. They were saying it’s too much. I really wanted to tell everyone that it’s worth it, but didn’t have proof at that time. You see…. I’m not the most organized person, so I don’t have exact dates of when I started using tribes, or how much money they actually made me. I manage several blogs and keep quite busy, so I promptly forgot about it. But today, while doing some research in my garden site analytics, I decided to find out how much traffic I actually got from tailwind tribes. WOW! I was surprised (more like shocked) to see that since January 1st this year I received over 88K visitors from tailwind tribes. That’s 12% of all my traffic to this site. Don’t believe me? Take a look! Want to know how I do it? 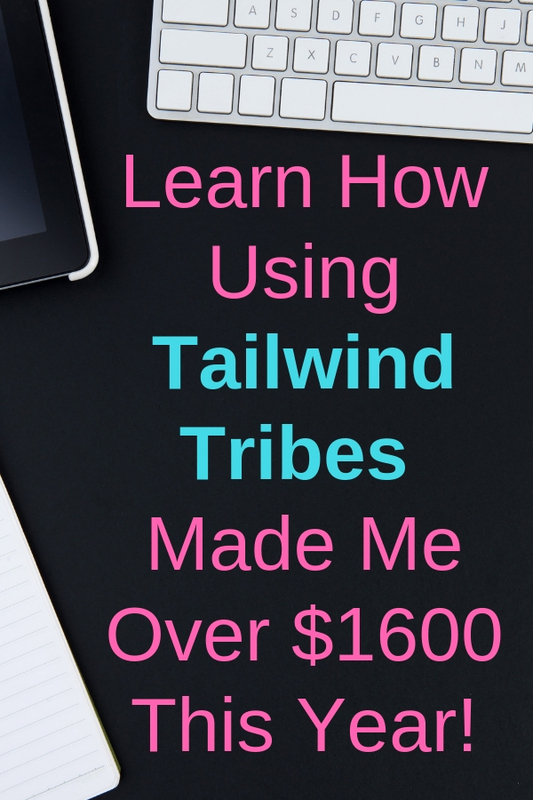 Here’s my method to using tailwind tribes to grow traffic. I use the Tribes Max power up, which costs me $119.88 per year. It allows me to belong to unlimited tribes and I can submit 200 pins to tribes every month. They do have a free option, where you get access to 5 tribes and 30 submissions per month. You can try that here. While it may seem like a lot, I promise you it’s worth buying it. 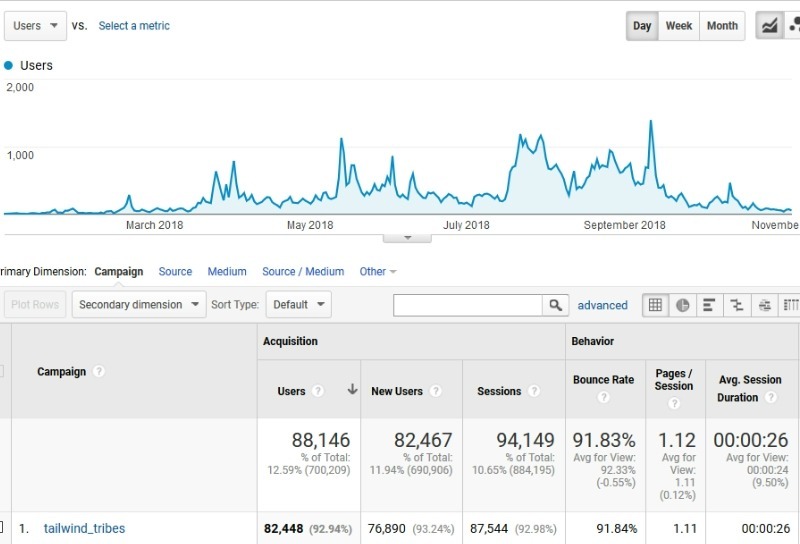 The $119.88 I paid for the first year (which is not over yet) sent my site 88,146 visitors. Do you now think it’s worth it, if you could do the same? I have Mediavine ads on my site, and my average RPM for the year is $19.83. That means that for every 1000 visitors to my site I made $19.83. Again, this is an average for the year. RPM fluctuates depending on time of the year, your popular posts at the moment, etc. Take a look at my RPM. Now, let me do a bit of math here for you. Those 88,146 visitors made me $1628.95 this year. That does not include any of the Amazon commissions I made because of those visitors. It also doesn’t include pins that got viral as a result of being pinned from a tribe. Well worth it the $119.88 I paid for tribes, if you ask me. Are YOU ready to make some money? Schedule your first 100 pins FREE here (or get $15 off your yearly subscription) and see for yourself. If you’ve been putting off getting a tribes power-up, do it today. The holiday season is here an you’ll make back your investment in no time. The more you wait, the more money you’ll lose. If you’re one of the few that doesn’t know what tailwind tribes is, let me tell you about it briefly. 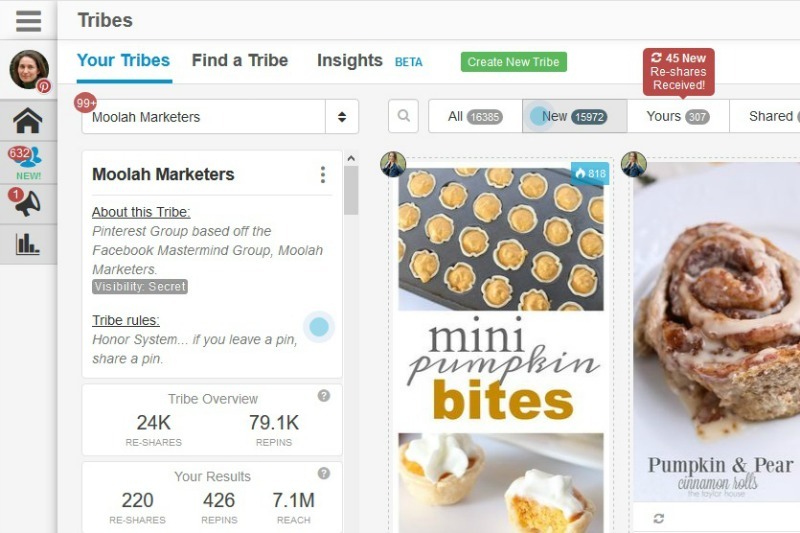 Tailwind Tribes is a tool that facilitates meeting bloggers in similar niches to yours, and helps supply you with a steady supply of quality content you can share on your Pinterest boards. Joining tribes is very easy: look at my images above: click on find a tribe and you’ll see this. 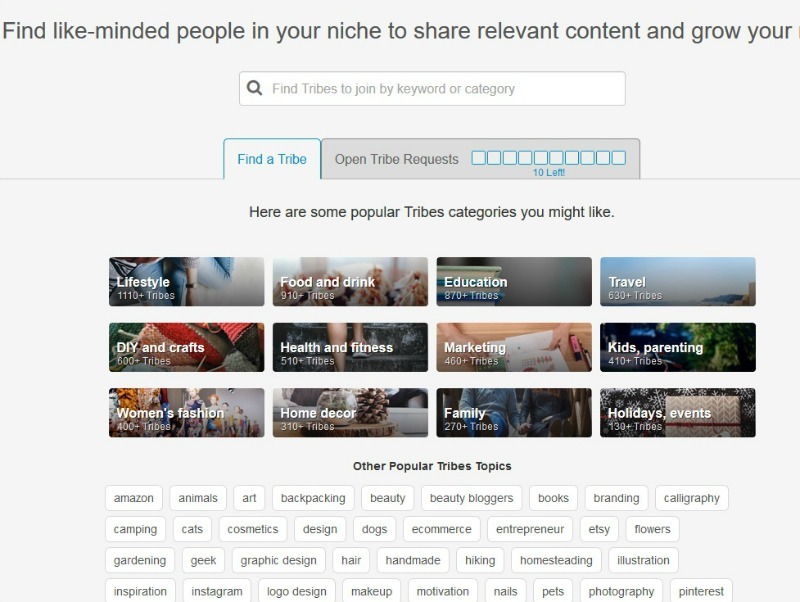 You can either search for your niche, you can click on one of the categories represented, or you can click on one of the tribes topics. I decided to search for my blog’s subject (gardening), and here’s what I got. As you can see, you have the portion to preview the tribe: this helps you to see if the content shared in there jives with you. If you see the green button with “join now” on it, you can join it right away. The ones with blue buttons you’ll need to request to join, then wait and see if you’re accepted. 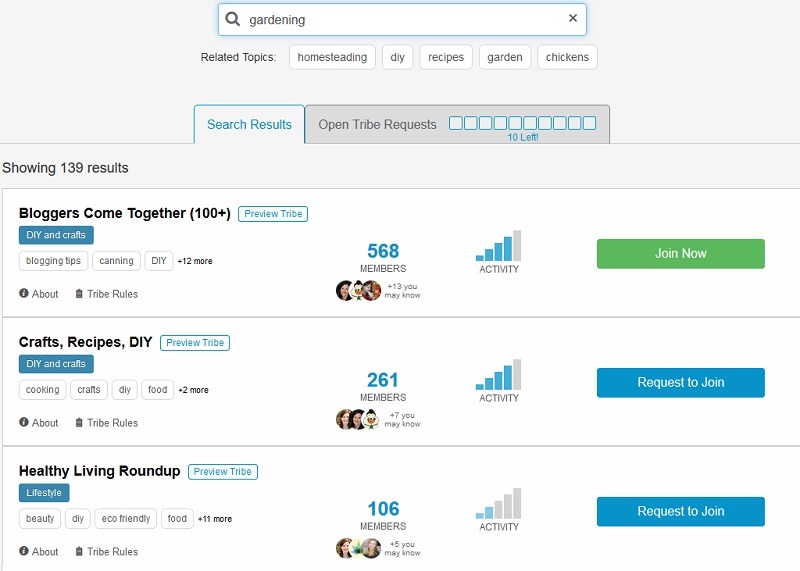 Make sure you preview the tribe: for example, I wouldn’t join the one you see above: it’s a general tribe and I’d have a hard time sharing from it to my garden boards. The first thing I do when I am accepted into a tribe is to read the rules. 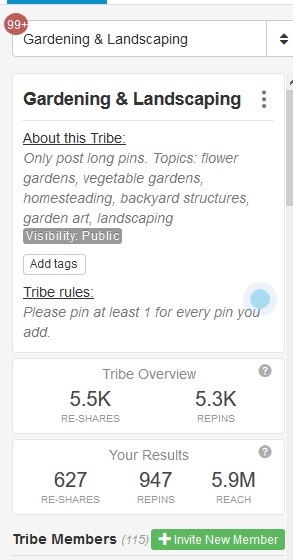 I want to make sure I follow the rules: some tribe owners want you to share 2 pins for each you add, while others are happy with 1:1. Next, I schedule some pins to go out. this way I give before I take: just good karma. I like to look for the tribe owner and give them a few shares. After all, they put forth the work of creating the tribe and making it a place when you can benefit. It’s just a nice gesture I feel I need to do. Once I scheduled a few pins from the tribe, I’m ready to upload my own. I hope you see the value of getting tribes power-up. It can be life changing in a very good way. Here’s one last metric I’d like to share with you. 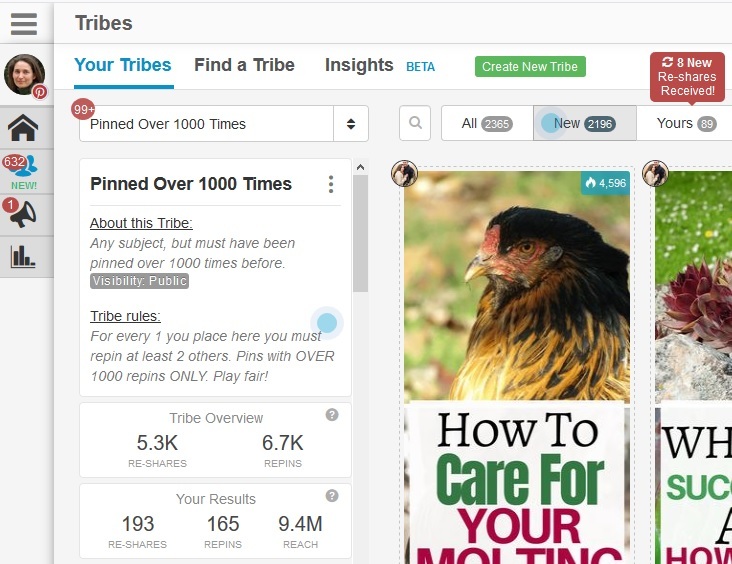 Since I joined tribes, I submitted 1000 pins, and received 2600 re-shares, 3400 re-pins and reached over 40 millions people. I’d say that’s worth $119.88 (or $59.88 if your blog is smaller, or you don’t have too much money today). You owe it to your business success to join Tailwind tribes today! That is the view on one of my Tailwind accounts.